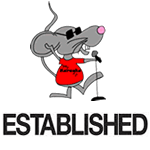 Voted Best Karaoke DJs, Karaoke Bars, & Karaoke Shows In Dallas Ft. Worth & Surrounding Areas > Uncategorized > MyKaraokeDJ.com Just Updated Our Music Library Today! MyKaraokeDJ.com Just Updated Our Music Library Today! We just updated our Music Library Today. Click on Music Library and Check out our latest edition. We update our Library Every Month with the latest Karaoke Tracks. We even make our on Karaoke. Mykaraokedj.com is your choice for Karaoke here in the Dallas and Fort Worth Area. Posted By Your Karaoke DJ’s. Think You Have What It Takes To Be A Karaoke DJ?